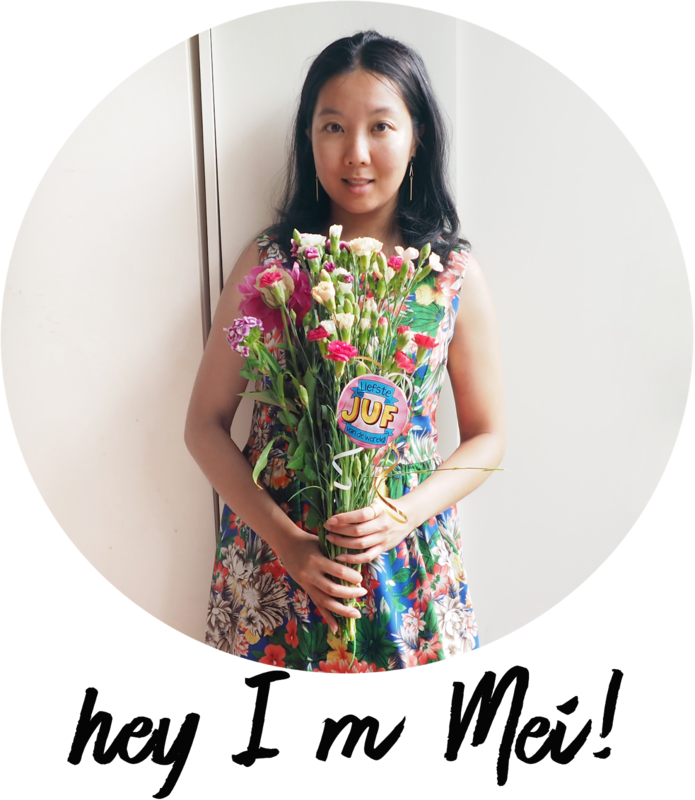 If you think that ice cream cones are only eaten with a scoop of ice cream than think again! 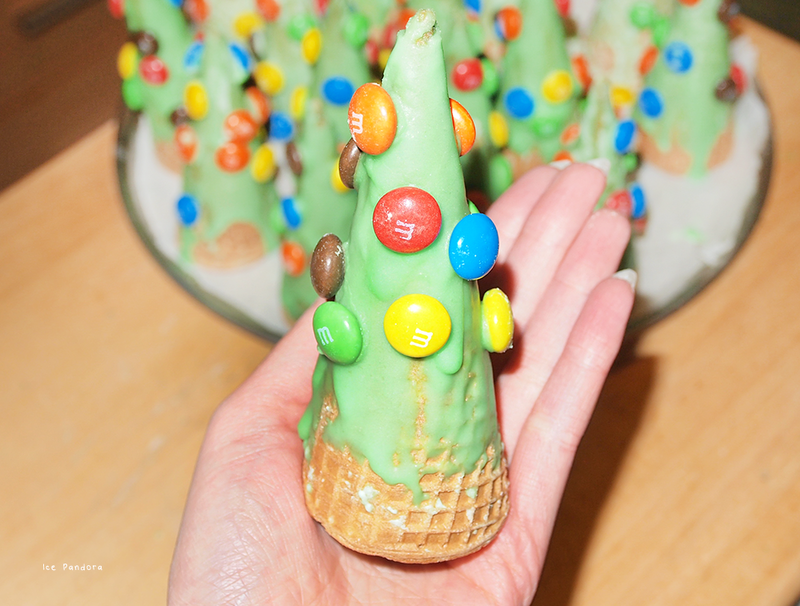 Thanks to Pinterest and the many many many Christmas themed DIY’s and baking’s that you can find there - I was inspired to make these pretty cool looking Christmas tree cone treats with icing and M&M’s! And turned my kitchen table into a wood full of delicious decorated Christmas trees! Great for pre-school treats for the kids or perhaps on a huge cake don’t you think? 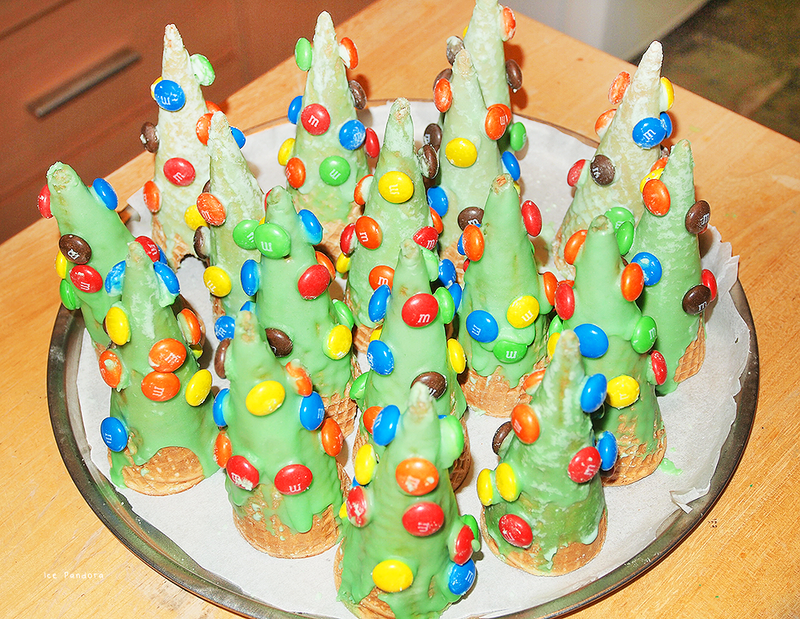 I hope this Christmas food DIY tickle your fancy because I sure had fun making it! And eat it of course. 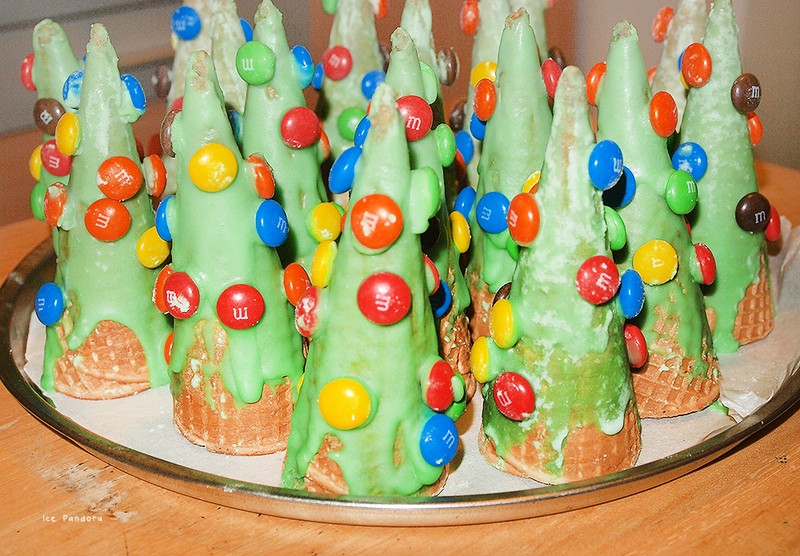 Als jij denkt dat ijshoorntjes alleen worden gegeten met een bolletje ijs dan heb ik hier iets lekkers met een hoog Kerst gehalte voor jullie: een ijshoorn kerstboom traktatie met M&M’s als kerst versiersels! Dankzij Pinterest en de vele vele kerst inspiraties die je daar kan vinden maar ook van Rudolph’s Bakery (I love him!) van 24Kitchen heb ik mijn eigen draai kunnen geven aan mijn kerstboom traktatie! En binnen een mum van tijd had ik ineens een hele bos vol met heerlijke versierde kerstbomen op mijn keukentafel! Leuk voor school traktaties of als ganering op een taart vind je ook niet? Ik hoop dat je dit uitprobeer want hij is leuk om te maken en natuurlijk om op te eten! 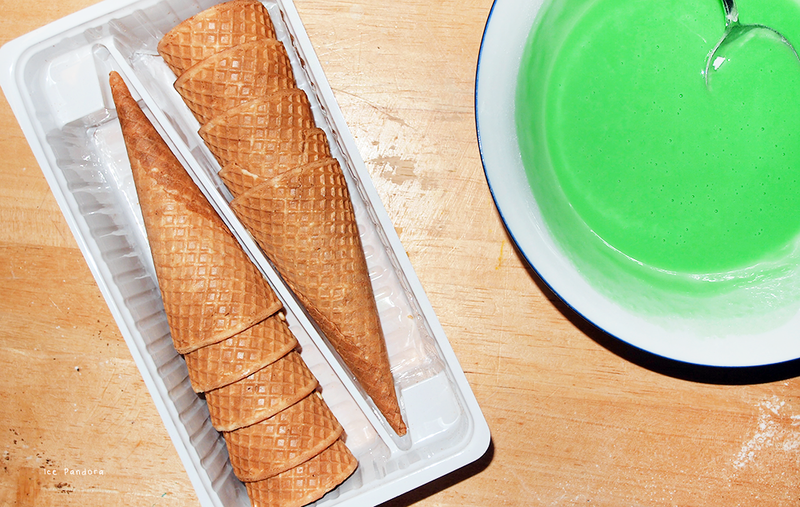 A fact: these cone treats are still crunchy after 1-2 days! Just store it in an airtight container/sandwich bag. In a bowl goes: icing sugar, the 3 tbsp. 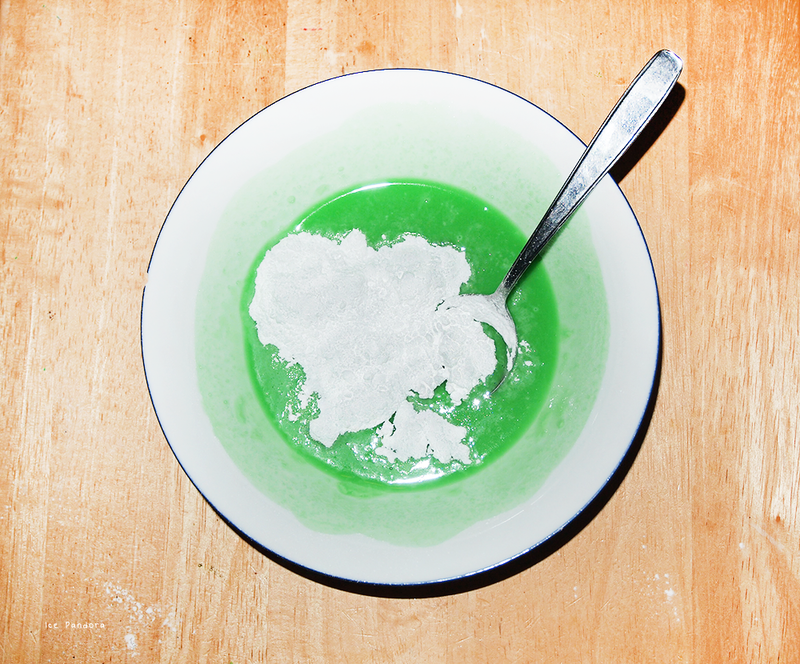 of lemon juice and food coloring and stir until you have a thick smooth and green glaze. You may add more icing sugar or juice if needed. 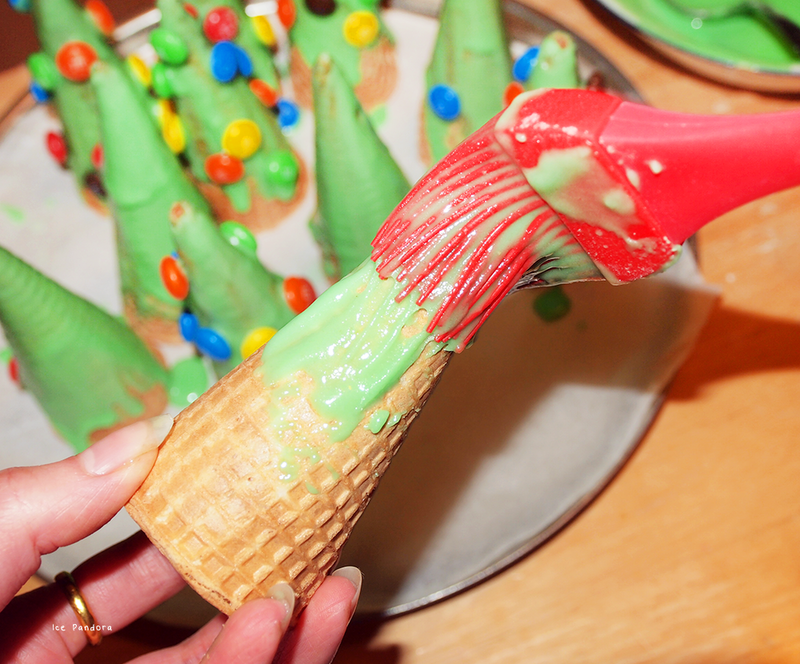 Brush a first layer of glaze around the cone and let it dry for 3-5 minutes. Then brush the 2nd layer and let it dry 3-5 minutes again. 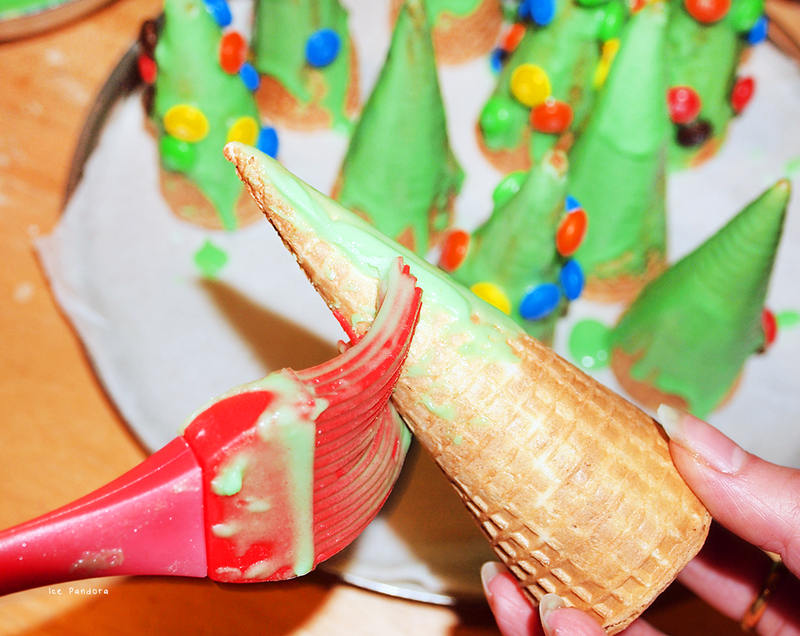 Decorate the cone with M&M's by carefully and lightly pressing it against the glaze. Then the glaze dry! Ahh these are so cute and look delicious!! I'm sure they'd be a hit at any Holiday party! what you did above was amazing!! 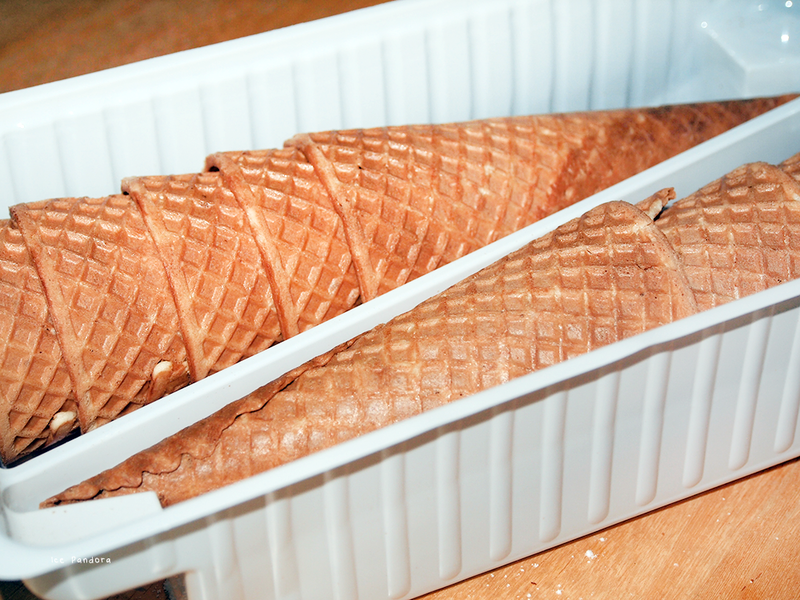 i never thought ice-cream cone can be so DIFFERENT than just filling with ice-cream.those are really cute! and perfect for christmas party! This is such a good idea ! Great job ! These look like so fun! I can imagine kids and even us adults having great fun making these! I really want to make sugar cookies soon! These look so sweet - what a fantastic idea! What an awesome idea! And delicious too! Did you put something in them like melted marshmallow? Or did you just leave them empty? Oh so yummy! 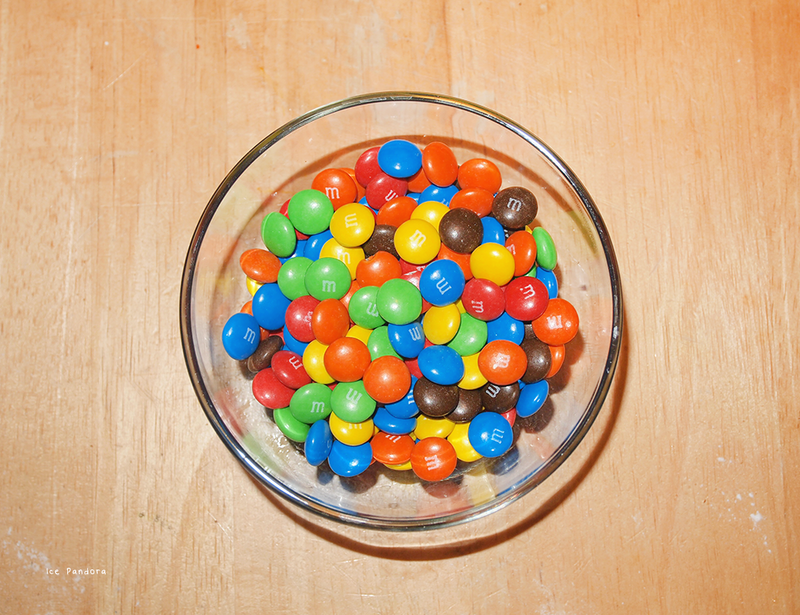 I love sweets!